Providing outstanding customer experience is a proven competitive differentiator. Delivering it relies on the right technology. 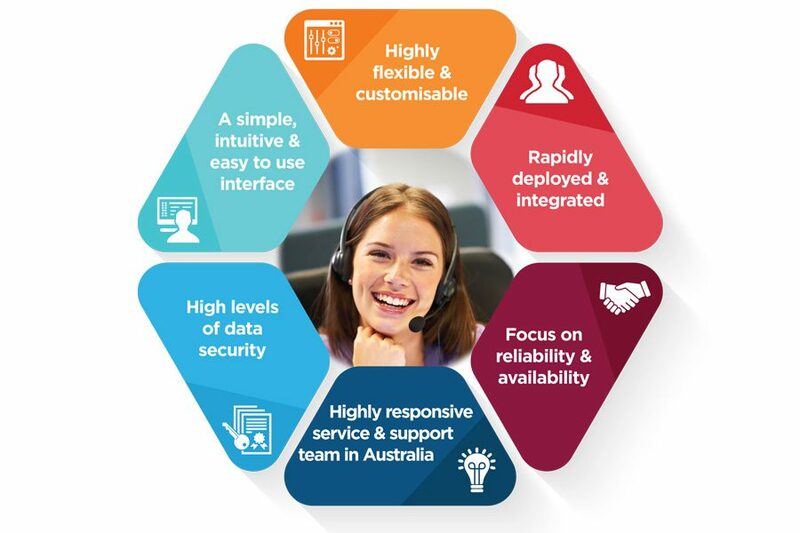 Today, forward-thinking businesses and organisations want state-of-the-art contact centre technology solutions that . . .
Premier Contact Point delivers all that and more. Premier has been creating advanced, secure technology solutions in Australia since 1986. Our expert team has developed and deployed secure cloud solutions across Australia and 18 countries in the Middle East, African, Asian and European regions. We commit considerable resources to ensuring that our technology solutions are robust and retain industry leader status. Our first class reputation and future depend on it. Our cloud customer contact solutions are incredibly flexible and totally customisable. Our highly trained and responsive service and support teams are located only in Australia.